On most Lonely Planet trips, I’m a stranger in a strange land. But here in California, I have a gym membership, happy hour dates, and friends with boats. It’s partly because the geographic area I’m covering (San Diego and Orange County) is small. When I covered Patagonia for the Argentina book, for example, I never back-tracked – I just kept going from point A to B to C, studying the bus schedule and trying to figure out where I’d be sleeping the next night. In southern California, I don’t have to strategize too much; I just move back and forth between friends’ and family members’ apartments on the Pacific Surfliner train. A lot of the book research I have to do involves checking out beach hotels and taco stands that I can get to by riding a hot-pink bicycle along the coast. 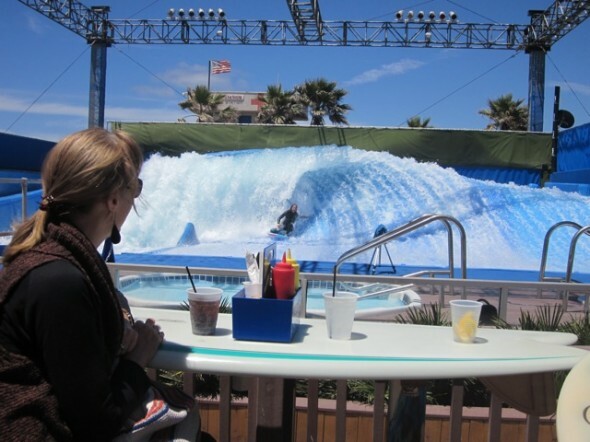 Watching the surfers practicing at the Wave House in Mission Beach. 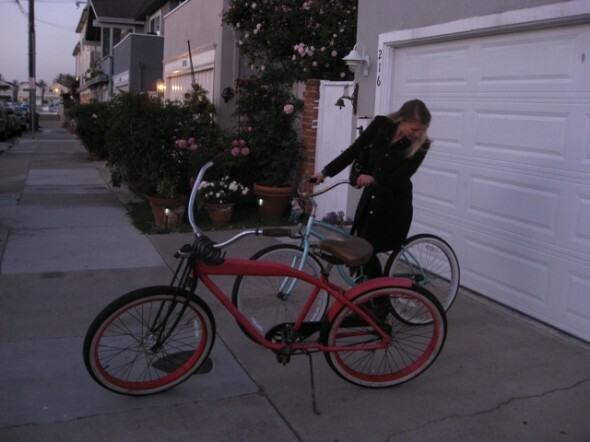 Riding a pair of vintage beach cruisers to a cozy French dinner with my friend at Newport Beach’s Pescadou Bistro. We had mussels and pinot noir. Très romantique! 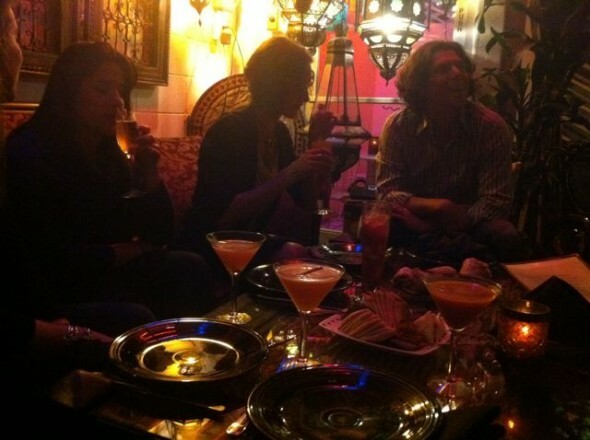 A Moroccan feast with friends at Kous Kous in the Hillcrest neighborhood of San Diego. 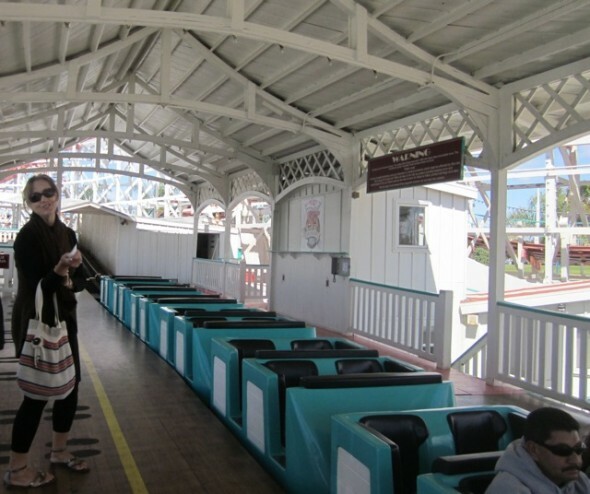 Riding the antique roller coaster in Belmont Park, San Diego. Pretty ocean views from the top of the first hill. 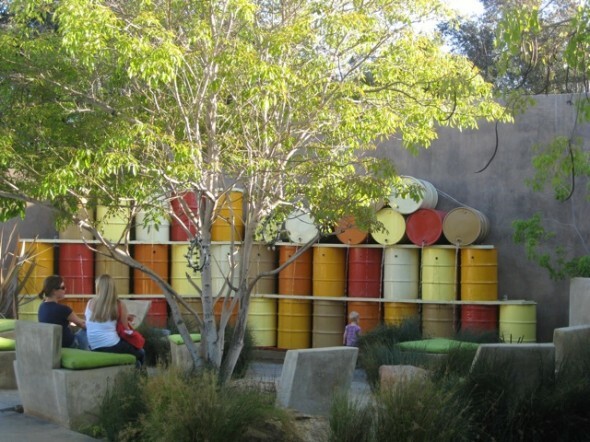 The Lab, Orange County’s ‘anti-shopping mall.’ Cool recycled art installations, and I picked up three vintage sundresses too. 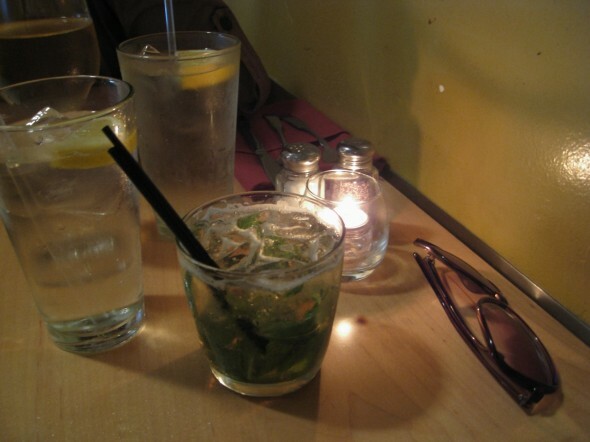 After that, I tried my first-ever mint julep at Memphis Cafe next door – the place looks like Mad Men meets the deep South. 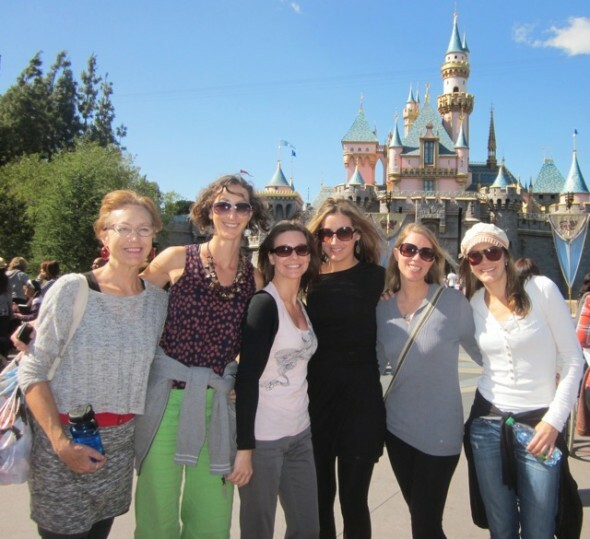 May 19, 2011 | Filed under Notes on travel.